In a mixer (e.g. Hamilton Beach 6 Speed Classic) stand, cream butter, white sugar, brown sugar, peanut butter, salt, baking powder, and baking soda. Fold in the mixture and add egg. Keep folding and mix until well blended. Add flour continously while continuing to mix. Mold dough into a ball. Cover bowl with plastic wrap and refrigerate for 3 hours. For each cookie, pluck out a portion of dough and roll into a ball. Place on a baking pan. At your option, stamp the top of the ball with a cross hatch pattern with a fork. Bake for 10 minutes. Let cool before serving. 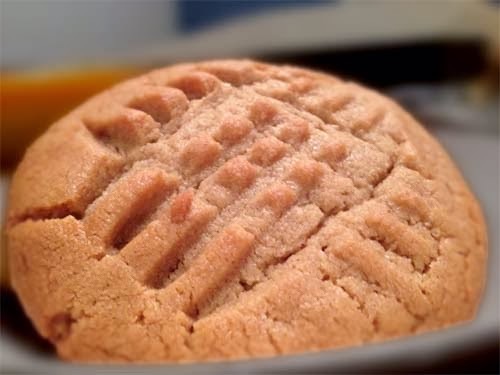 Check out the peanut butter cake recipe for more pb treats.